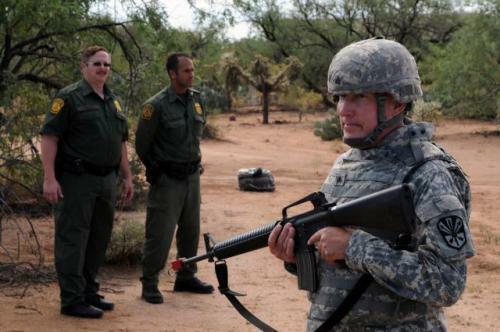 “The additional troops will provide logistical and other support to the Border Patrol, and will bolster the efforts of the approximately 2,000 National Guard forces already there. The new forces are expected to provide logistical assistance such as air support and equipment, including vehicles and tents. If Trump can get a boost in the US Midterm Elections by having a few hundred Poor Hondurans killed on Prime Time TV ; he will, Israeli style. America is exactly the same as Adolf Hitler`s Nazi Germany; “Might is Right”, you Will do as We say or We will Bankrupt you and Starve your people to death with Illegal Sanctions or Invade you and Steal your Oil.